Since 1997, tens of thousands of lawyers have relied on our Litigation Guides. The first was published in Florida, and it has a large and loyal following. To introduce our New York and California Litigation Guides, we are offering free access to these Guides until at least the fall of 2015. That’s right, free; no credit card or other payment required. Why are we giving the Guides away for free? First and foremost, it is our marketing strategy. Once you have used and come to rely on the Guide, we are confident that you will subscribe when we switch to a pay-for-use model. If it works for Westlaw and Lexis, it can work for us too! (When we move to a pay model, you will receive notice, and will be under no obligation to subscribe). Second, we are hopeful that lawyers will refer cases to our law firm, We represent plaintiffs in personal injury and wrongful matters, class actions and investment disputes. For now, sign up, read and enjoy the Guide. Wites Law is a law firm dedicated to the representation of individuals and families with serious personal and financial injuries. The firm's practice areas include personal injury and wrongful death, investment loss recovery, class actions, consumer rights and other financial injuries, as well as immigration. 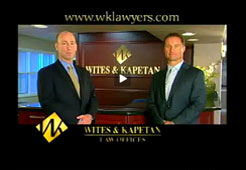 Wites Law was founded in January 2001, and represents clients in Florida and throughout the nation. If you refer to our books, please consider referring your clients to Wites Law. We honor and pay referral fees in accordance with bar rules.